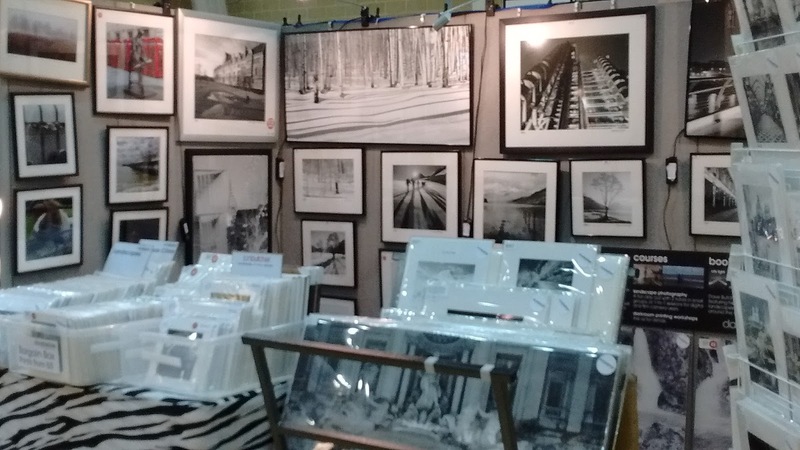 Wellington College, Crowthorne Art and Craft Fair This Weekend! 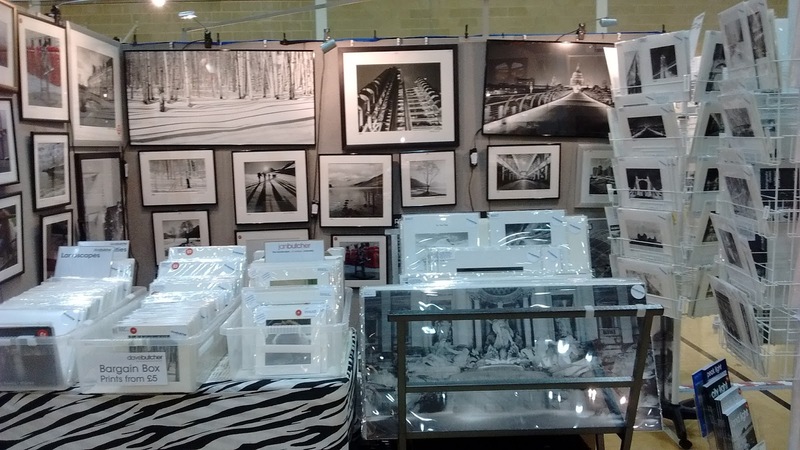 We are exhibiting at Wellington College, Crowthorne (near Bracknell) this weekend, as well as today! Jan is running our stand single handed as usual, my back has very painful recently so I couldn’t help even if I wanted to. 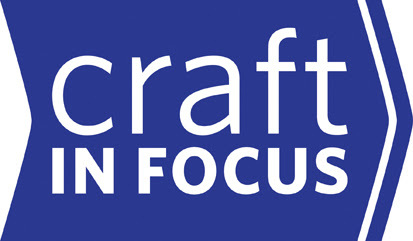 The show is run by Craft in Focus so high quality is guaranteed as they run the highest quality shows that we exhibit at. 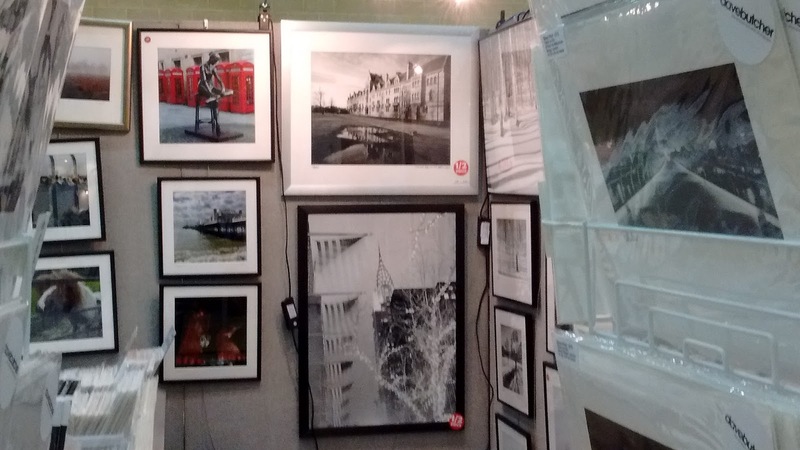 There’s lots to see of my black and white photographs as well as Jan’s colour prints. We both have prints from £5 as well as a few other stock clearance reductions. My 2 new books, Snow Light and Land Light are available at this particular show for the first time too, good prices for these as well and 240 of my best landscape pictures between them. Here are some pictures that Jan took this morning before the show opened. As if this wasn’t enough encouragement to come along here is a recent offer from the organisers to save money on the normal entry fee. Just print off the voucher and hand it over when you pay at the entrance desk to save £1.50. A special deal for our e-mail subscribers! If you were unable to make our fabulous event at RHS Garden Hyde Hall over the August bank holiday weekend you will be able to see the best British contemporary craftmakers at our Berkshire show from 4-6 September. 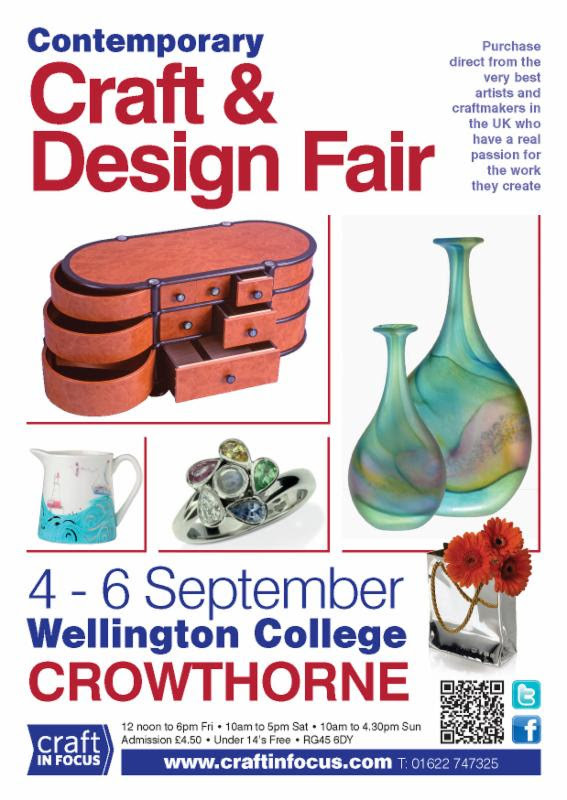 The prestigious Wellington College provides a perfect backdrop to our event which features nearly 100 professional artists, craftmakers and designers. Set in around 400 acres, this is one of the oldest independent schools in the country. This is an indoor craft fair with ample free parking and full disabled access (disabled/elderly parking through the business park). View our Facebook album to see the type of work that can be seen here. 4 miles from M4 J10 or M3 J3/J4. AA signposted. Please present this voucher for £1.50 off the full admission price for one person. Not to be used with any other offer. Expires: Sunday 6 September 2015. Valid only at the Craft In Focus Contemporary Craft Fair at Wellington College.